NI ROCKS – Hi Chris. Thanks for taking the time to talk to Rock Radio NI. The band have just released the album “The Nature of the Beast” which we’ll talk about shortly. I started off by playing the single “Run For Your Life”. What can you tell us about that track? CHRIS – Well “Run For Your Life” is actually a celebration of the music that me and Rob Rock grew up on. It’s kinda like vintage, early Iron Maiden, Judas Priest and bands like that from the early 80’s. From around 1981 to ’83. We wanted to construct a song that had a similar feel, except with a much bigger production and play a bit more advanced, technically speaking. Lyrically, the song came together because at that time in the Unites States, President Trump was having a lot of conflict with North Korea and Kim. We started to think that the United States was the only country that has never really had an issue where we’ve been attacked, but with Kim, all of a sudden, he had the ability to get long range missiles to the United States. So, we started thinking lyrically, what would happen if that actually came to fruition. What would that be like? That’s where the whole lyric came in for “Run For Your Life”. Because, finally America was being attacked; it was kinda in a way a bit cheesy or silly, but the reality was that we found it a bit adventurable. NI ROCKS – The new album was released on 12th October by Frontiers Music. Where was the album recorded and who did you work with for production etc? CHRIS – We recorded the album in the United States. I live in Los Angeles, California in an area called Malibu. We did the majority of the record here. We used a studio NRG Studios. NRG is a very well known studio in Los Angeles, everybody from Slash to Linkin Park, every big artist has used NRG. We had a production team and used a guy named Mike Plotnikoff, who did a lot of basic engineering and recording with us. Mike had produced bands like Van Halen, Aerosmith, I think he has worked with AC/DC; so he’s very well known. Then we had Jun Murakawa who has actually been my assistant kind-of-guy who has been working with me for years. The mix engineer was a guy named Greg Reely and Greg is well known, especially for a lot of those 90’s bands like Fear Factory, Devil Driver and Overkill. He’s a fantastic mix engineer. So that’s where we recorded the record. We did it in a live context. We wanted to capture the band live; we didn’t want to make a computer record, which unfortunately most music these days is made on people’s computers, which to me is very inhuman – why don’t we just listen to the computer play music! Our idea was to play live, record us live in that kind of format and that way when the listener is participating or listening to our music, it’s as if you’re on stage with us. NI ROCKS – You’ve Rob Rock of course on vocals. Who else is playing on the album? CHRIS – James Pulli has been our bassist since 1990 (laughs) so it’s been 28 years and he’s like the new kid in the band (laughs), so James has been with us for quite some time. He’s done all the records with us. On this record it’s the same drummer as the last time, which is John Dette, and he did the majority of the record with us. He has played for bands like Slayer and fills in for the Anthrax drummer occasionally – he’s a great player. NI ROCKS – It’s been about three and half years since the release of the previous album “Venom” which was very well received. When did writing start for the new album and did you approach it any differently? CHRIS – That’s a good question. After “Venom” we did some really big shows in Europe. We played Rock Fest (Barcelona) with Iron Maiden, the big festivals in Germany and then we ended up headlining. The last show of the “Venom” tour we headlined Busan, Korea. We headlined and our bass player couldn’t go so my friend Rudy Sarzo - who has played bass with everybody from Ozzy Osbourne, Whitesnake and so on. He came out and spent a week learning and rehearsing with us and then we played. We drew in 90,000 people; it was massive! It was interesting because we came off that show with so much energy that literally, as soon as I got home to LA, I took a day-off and then I ran into the studio with my guitar and I just started playing. Anytime anything cool would come or I would fall into something and discover a really cool riff I would start developing it into a song. I’d lay down a demo and I’d send it to Rob, James and Jon to work out their own parts. So as soon as the tour was done we really jumped right back in to start making the new record. And you asked was it any different? No, I really thinks this record is an extension of “Venom”. It’s really the same kind of technique, the way we wrote and the way we recorded the record. It’s very similar. NI ROCKS – Who gets involved in the song writing process? Does everyone get involved and is there a standard process or does each track come together in different ways? CHRIS – We all work together equally. This is really important. 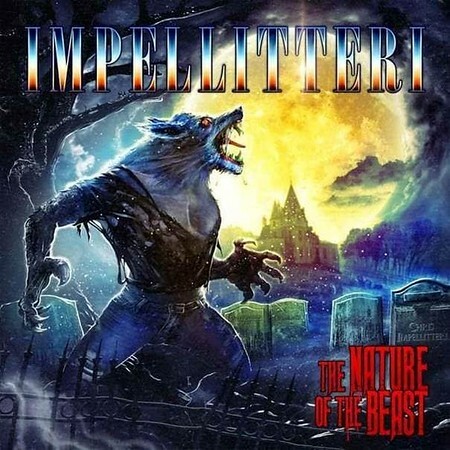 A lot of people have this misconception about Impellitteri. They think it’s a solo band; like Chris Impellitteri, but it has never, ever been a solo band. It’s always been a band with four or five members and each one is equal. I’m no more important than the singer or the bass player; I’m just the guitar player. Having said that; the way the music really writes is like most heavy rock bands – I do write most of the music. I play on the guitar all day long, so I always have a guitar somewhere near me. And a lot of time, as all guitar players do, I’ll be playing a guitar solo, shredding, masturbating on the guitar, whatever people say we do (laughs); but what happens often is that I’ll slip and fall into something and think ooh what was that! And I’ll play it again and it turns into a riff. And all Impellitteri music, the foundation of all our songs is always a great riff first. We don’t have a great riff, we don’t go further. We wait until we do. So once we have what we think is a great riff, then we develop the song. So really then that’s my responsibility – developing the riffs and putting the arrangement together. Then I record it in a rough format – a demo. Then I’ll give it to Rob, James and in this case Jon and say let me see what you do with it now. They’ll work out their parts and we’ll come together. We get together to rehearse and we’ll get a feel for how we can each contribute. So that’s kinda how we write our music. NI ROCKS – This time there are two cover versions on the album. Black Sabbath’s “Symptom of the Universe” and Andrew Lloyd Webber’s “Phantom of the Opera”. What made you decide to cover those two tracks? CHRIS – Well, (laughs) I have to be honest, “Symptom of the Universe”, I’ve always loved that song since I was a little kid, and Tony Iommi is such a big influence on myself. Our bassist James Pulli just loves Black Sabbath and he’s a die-hard Geezer fanatic. We always used to play that riff at rehearsals and soundcheck – just fooling around with it and it has such a great, diminished, dark kind of sound. We started playing with it one day and normally we think we’re not going to touch it – that would be sacrilege to touch Black Sabbath, because you’re not going to make it better; they do a great job at what they do. We started playing with it and all these ideas started coming to us – orchestrated parts, these crazy solos – and we approached it quite a bit differently and by the time we got done playing with it, we thought let’s just record it. We went in and recorded it, but still not committed to putting it on the record. We listened back and we were having fun with it and were really into it, but still really nervous thinking Sabbath fans were going to kill us for doing this. We started playing it for some industry people and label people and they really loved it, so that is how “Symptom of the Universe” ended up on the record. It was kind of a similar story with “Phantom of the Opera” which in the United States is a really well known Broadway musical – very popular! It had this very haunting theme, but yet very pop and melodious. As a kid I always wondered what would happen if we did a speed metal version of that and made it far more demented; but still have to conform and respect the integrity of the original composition. We started going to the studio and were playing around with it and having fun, and all of a sudden the thing took off and had a life of its own and became this beast. Before we knew it we were recording it and when we were done recording it, again – the same thing – I was saying I wasn’t sure if I wanted to release it. And there was another problem with “Phantom” – there’s a band that I really love called Nightwish with a fantastic singer Tarja Turunen, at least during that line-up, and the bass player Marco. I’ve never met them but I really loved their version. I said we shouldn’t do this as they’d done a great job; but when I listened to their version it has amazing vocals and wonderful production, but there are no guitar solos – it’s a very basic rock song they way they play it and they play it well, but there’s nothing really that spectacular musically speaking. So we took upon ourselves to go the other way. Let’s do more of a speed metal version with thrash drumming, crazy Vivaldi style soloing and that’s what we did. Hopefully people like it (laughs). We never know! NI ROCKS – We’re going to play another track from the album now and again I’ll let you pick one and can you tell us something about that track? CHRIS – One of the songs that I really like on the record is “Gates of Hell” which is about war, having each others backs, supporting each other; because obviously in war you need to make sure that when you’re in the frontline that you take care of each other. There’s no infighting. It’s almost like a civil war in some ways lyrically and it’s a fun song. It’s got the characteristics of Impelletteri that I really like. NI ROCKS – The album is released now; what plans does the band have to tour in support of the album? CHRIS – We’re looking at offers now and we want to go and tour the entire world. We’re open, so if promoters basically make us offers to come to play in your city or your country, I promise we’ll come and we’ll play. It’s really up to the promoters. We can’t force them to take us. We’ve had fans all around the world beg us to come play and they’re frustrated that they can’t see us – whether it’s in Japan or certain parts of Europe and the United States. Everyone has my word – if we get invited, we’re coming. NI ROCKS – Ok, so we’re likely to see you back in the UK or Europe at some stage? CHRIS - Yeah, I hope so. Definitely! 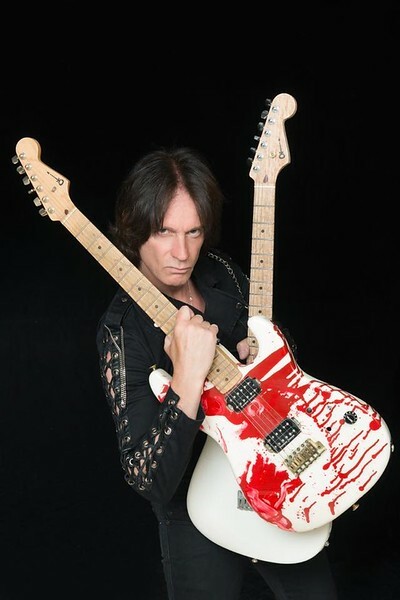 NI ROCKS – Has there been any other projects, apart from Impellitteri, that you’ve worked on recently or have lined-up for the near future? CHRIS – No. I’m really very loyal to this band. I’ve done other stuff in the past and I’ve had some big, mega rock stars offer me lead guitar spot in their band. But for me, music is about self-expression and I really like to express the music that we do within our own context, where we don’t have any pressure and don’t have conform to someone else’s rules. So, I really try not to do a lot of stuff outside of Impellitteri. Occasionally, if someone is doing a big film score for a movie, they might ask me and I may come in and do something like that, but that is really it. NI ROCKS – One project you were involved with in the past was Animetal USA along with singer Mike Vescera and bass player Rudy Sarzo who you mentioned earlier. How did that come about and is it something that you’re likely to be involved in again at any stage? CHRIS – Well, that was supposed to be a one-off. It was never really intended to go much further than the first record. It was a project put together by Sony Japan. In Impellitteri we’ve done very well, and have been blessed to have succeed in Japan the way we have. We’ve sold millions of records, played massive venues and made a good life out of it financially. So we really owed them! What happened was that Sony decided that they wanted to put together a sort of super-hero, like cartoon, heavy metal band, that would remake famous anime songs that were written anytime from the 1930’s to 50’s. Originally they got (drummer) Scott Travis who was from Judas Priest, Rudy Sarzo, myself and Mike and put us together. We did the first record which did really well in Japan and at our first show we played to 18,000 people. Then we had the demand to do a second one, but I think where people got confused or where the misnomer was, was that people thought this was going to go outside of Japan. It wasn’t really designed to do that and was very specifically for Asia; although we did play the Los Angeles Convention Centre in LA and I think that was the last show we did. NI ROCKS – You’ve your own custom made blood spatter Charvel guitar. Was that the main guitar used on the album? CHRIS – Yes, it is actually. That guitar is incredible. I think I did probably about 90% of the entire new record using that guitar. It has an interesting back story. I’ve always played Charvels secretly; I actually used to play them when I was a kid, and I’m talking about the old Charvels with like Fender headstocks, no Floyd Roses, just the old tremolos. And what happened, probably about three years ago, the artist rep for Jackson Guitars, Charvel Guitars and Eddie Van Halen’s line EVH, a guy named Mike Tempesta, called me and said Chris you have got to play this guitar. I said naahh, I already love the guitars that I have, I’m not really interested. So he called me again a couple of months later and said you’ve got to play this guitar and I said send me a picture of what it is. So he sent me a text with a picture and I hated it. It looked like someone had dumped a can of red paint on it (laughs) and I said I’m not playing this thing. So another couple of months go by and he calls me and I was in the area and he says come on in. So I go into the Charvel shop and he brings the guitar out. As soon as I picked it up, I went Oh My God! Not only does it play amazingly well, it almost plays for you it’s that easy to play; but it sounds amazing. It has this beautiful top end and it sounds like each note has this harmonic bell overtone, but it’s also fat too. So it has this bite, but also a thickness of the Les Paul. I soon as I played it I fell in love with it. Plugged it into the amp and loved it even more and from that point on I just walked out with the guitar and kept it. As a matter of fact, I did most of the European shows and Japan using that guitar. It’s incredible. The other story, and this again is really for the guitar players that care! The original builders of Charvel guitars, which really made Charvel famous, were in the late 1970’s. There was Grover Jackson, Mike Shannon, I think it was Wayne Charvel and somebody else. Those guys actually came to Charvel in 2007 and they hand-built this guitar that I’m playing, as a team. And what happened was that in 2007 there was something under Fender, because Fender own Charvel, where they said right let’s put together these original luthiers, Grover and all these guys, and we’ll get them to build these really rare, custom-build one-off guitars and we’ll sell them. It was really outrageously priced – something like $17,000 or $18,000 per guitar – and not one of them sold; they were so expensive! So, this guitar sat in its case in a temperature controlled room since 2007. I got it around 2015; so for eight years it basically sat in a coffin (laughs). That’s the story and I love it – now it’s alive with me! NI ROCKS – Your name probably, unfortunately, isn’t as well known as it should be outside of the specialist rock and guitar media, but you do have a big following worldwide. Do you do many guitar clinics or promotional tours? CHRIS – No, I really don’t. I get a lot of offers to do that stuff. My whole career, I’ve really been thrown in or lumped in with all these shredding guitar players you know and the reality is that I’ve never really thought of myself like that. Occasionally, I will do instrumental songs, but it is rare. I always view what I do, as very much similar to what Eddie Van Halen does with Van Halen or Randy Rhoads did with Ozzy on those first two records. It’s really been about the band. I’m not saying that I don’t love shredding and all the technical stuff, I do, but that’s not really what this is about. So I don’t do a lot of clinics and that stuff, but I do get offers virtually every day to do that kinda stuff. NI ROCKS – We’re going to play another track from the new album now. This time I’ll let you pick which one to play and tell us something about? CHRIS – Another song that I really dig....well let’s start with “Phantom of the Opera” and we’ll let the listeners either hate us or like us (laughs). This is something that you’re going to have to be open-minded about when you hear it – this is a Broadway musical that we’ve turned into heavy metal (laughs). It’s a lot of fun and I’m really thrilled with the way I got to play guitar on it. But I’m more impressed with the way Rob Rock sang it, because it is a very difficult song to do – not only the high tenor parts, he also had to do all the soprano / alto parts which is the female voice and quite challenging. NI ROCKS – I read a quote from you about the new album in which you said “The guitar solos have lots of technical shredding elements, but at the same time they are very melodic and I think fun for everyone to listen to. The riffs are also exciting for me to play as there is a lot of obvious influences that I brought to this new record.” Can you tell us a little bit more about how you wanted to shape those solos and what those influences were? CHRIS – The influences on me personally? Yeah, sure. I’m a human being and hopefully people are honest, and I’m going to be honest. For me, I’ve been influenced by virtually every guitar player on this planet. To this day I’ll still go into YouTube and watch some fifteen year old kid do something that I’ll find remarkable, and I’ll spend two hours learning what he’s doing! The biggest influences on this music, and I don’t want to sound like I’m going into the shred school with me and Yngwie and all those guys, but I’m being truthful! On this record, I think the biggest influence is probably Vivaldi. When I’m in Los Angeles, especially in my cars, I always have KUSC on, which is a classical music station. They’ll give you Vivaldi, Brahms, Grieg, Beethoven – all fantastic compositions by virtuosos and composers. I listen to that stuff constantly and religiously and I think a lot of the way that Vivaldi plays, with the Four Seasons, Concerto for Four Violins; there’s something about it that really touched me and really inspired me. And you can hear that. Even the riffs on songs like “Run For Your Life”, which was the first music video that we did for this new record. On “Run For Your Life” the intro is very much like I would see Vivaldi composing a metal song. NI ROCKS – You mentioned watching young guitarists. You must have seen a lot of new guitarists coming through over the past few years. Has anyone in particular caught your attention from the younger generation of guitarists? CHRIS – Well, I don’t think they’re maybe that much younger, but guys that I really dig. I think Gus G is fantastic, who played with Ozzy for a while, I really like him. Jeff Loomis, I love, he’s a fantastic guitar player. These guys are not hugely younger than me (laughs). For the much younger generation, that’s harder. You don’t see a lot of fifteen year old kids in big bands yet, but their time will come. They’ll get there and I’m kinda looking forward to that. Those kinda kids on YouTube I have to find them or a friend of mine will send me a link and tell me to check the kid out. It’s really more on that side of it. But if you want the metal guitarists that influence me big time, it always starts here. As far as the way that I play the guitar with the speed and articulation, the shredding and all that stuff – there are really three guitar players that affected me. There’s a record called “Friday Night in San Francisco” that was done by three guitar players – Al Di Meola, Paco de Lucia and John McLaughlin. If you listen to that record you’ll immediately hear where I get all my speed and my fast picking, the alternate stuff; so that’s a huge influence on me. Then “Van Halen” I and “Van Halen II”; those first two records were a huge, huge influence on me as a kid, probably the biggest; and then followed by Randy Rhoads and the first two Ozzy Osbourne solo records – “Blizzard of Oz” and “Diary of a Madman”. Those were huge influences on me. Then I could list every guitar player on the planet Earth. Get started with Michael Schenker, Richie Blackmore, Uli Jon Roth, I could go on and on and on. I like Yngwie, Joe Satriani is fantastic, Zakk Wylde, I like the new dude in Judas Priest Richie Faulkner. I could on with this list for days, and I love all these people. And all of them somewhere, I promise you, have some influence or effect on the way that I play, because I think what would they do, and I’ll do it (laughs). NI ROCKS – A slight change of subject. The late great Pat Torpey played drums on the first Impellitteri album “Stand In Line” in 1988 just before joining Mr Big. What memories do you have of working with Pat and did you manage to get along to the tribute at The Canyon Club back in May? CHRIS – Yeah, I actually went. They invited me to play. Eric, the singer in Mr Big called me and asked me, but I just went and basically paid my respects. My memories of Pat! We were good friends and I loved Pat; I always will. I will always be grateful to Pat for playing on that record – he did such a great job, and he was such a great musician, but also very dedicated to his craft. I’ll give you an example. There’s a very popular rehearsal studio called Mates Rehearsal in Los Angeles. It’s where we rehearse, and Guns n Roses and all these big bands. And every time I would go down there to rehearse for live dates or a tour, even if Mr Big or a band Pat were involved in weren’t playing, he’d be locked away in a room playing his drums for like six hours. Just playing; every day! That’s the dedication. “Stand In Line” wasn’t actually the first record, the “Impellitteri Black” EP is the first record, but “Stand In Line”, what I remember most about it – it was a hard record for me. Everybody was quite a bit older than me – Graham (Bonnet) was 18 years older than me, Pat was probably 12 years older than me. It was challenging emotionally and Pat in many ways was like a father figure. He really helped with the arrangements and he had a lot of ideas and energy and I give him a lot of credit for that. I’m going to miss him. I used to look forward to when we’d run into each other and hang out. He was just a great guy and it was really sad to see his demise. NI ROCKS – You mentioned Graham Bonnet there. You’ve worked of course with Graham Bonnet on a couple of albums. Are there any singers out there that you’d really like to work with on a project or even just for a song? You mentioned you get a lot of offers. CHRIS – Well I’ve worked with other people in the past. People don’t know that after I disbanded “Stand In Line” with Graham Bonnet, I worked for about half a year with a guy named Glenn Hughes, who is another amazing singer. There was one time that I was actually trying to work for Ronnie Dio. So I’ve been around and worked with some amazing singers. I mean I’m always.....I never know what tomorrow is going to bring. Rob Rock and I have such a great relationship and a great chemistry. There’s just something – it just works. When you get another singer, even if the singer is amazing and really talented, it doesn’t mean that you’re going to have a synergy or chemistry when you both contribute to a song, or that the end result is going to be great. Sometimes it’s actually the opposite. You think it should be great and it’s just awful. There’s nothing I’m thinking right now, like oh I’d like to work with this person or that person. I do like some of the girl singers that I hear out there, some of the females. Tarja (Turunen) I think is amazing. I’ve never met her; I’ve heard her a million times and really dig her voice a lot. And the ‘cookie monster’ stuff, I really like some of that stuff; I like that chick in Arch Enemy (Alissa White-Gluz), I think she has a really cool technique with what she brings to music. That’s kinda my thoughts on it. NI ROCKS – A quick question to finish on that I always like to ask my guests on the Show. Can you remember the first album that you bought and first concert that you went to? CHRIS – Oh, absolutely. My first concert I can tell you was Kiss, “Destroyer”. I was a little kid and my grandmother bought me tickets and had a friend take me and my friends to the concert. It was an experience. I’d never seen anything like it; 10,000 people going crazy and these crazy guys in make-up, high heel platforms, fire and smoke blowing everything up and loud. It was really fun and really cool. Musically, the first record, and this might be a little blurry. I think the first full record I may have bought might have been Thin Lizzy “Live and Dangerous” or “Led Zeppelin IV”; I forget, one of those two. NI ROCKS – And do you remember what the last album was that you bought? If you still buy albums. And the last concert that you went to? CHRIS – (Laughs). Last album, yeah; I think I bought, I think it might have been Paganini, but that’s not a rock band. The last rock album I bought, jeez! I don’t know, I might have bought Slipknot. Last concert I went to was my own! (laughs). I don’t go to a lot of other concerts. We play shows and afterwards I might see some bands. I think the last band I watched was Maiden who went on after us in Spain. I think I might have seen that; and I love Maiden. Going back to when you said singer, if there’s one singer right now that is alive and still in good shape; if I were to work with someone else, absolutely Bruce Dickinson. I think I could do a magical record with him. NI ROCKS – We’ll finish off with another track from the new album. Again I’ll let you pick one and tell us something about it. CHRIS – Last song from the record? What have you played so far, you’ve played “Run For Your Live”, “Gates of Hell” and “Phantom of the Opera”. The fourth one? Let’s make it fun, as we talked about covers, let’s do “Symptom of the Universe”. NI ROCKS – Thanks for taking the time to talk to Rock Radio NI. Best of luck with the new album and any tour you have coming up. CHRIS – Yeah Nigel, like I said we’re talking right now about going on tour; probably towards the end of the year. Starting probably in Japan and then doing Europe. We’re going to be going out shortly. NI ROCKS – Hopefully we’ll see you over here sometime soon.